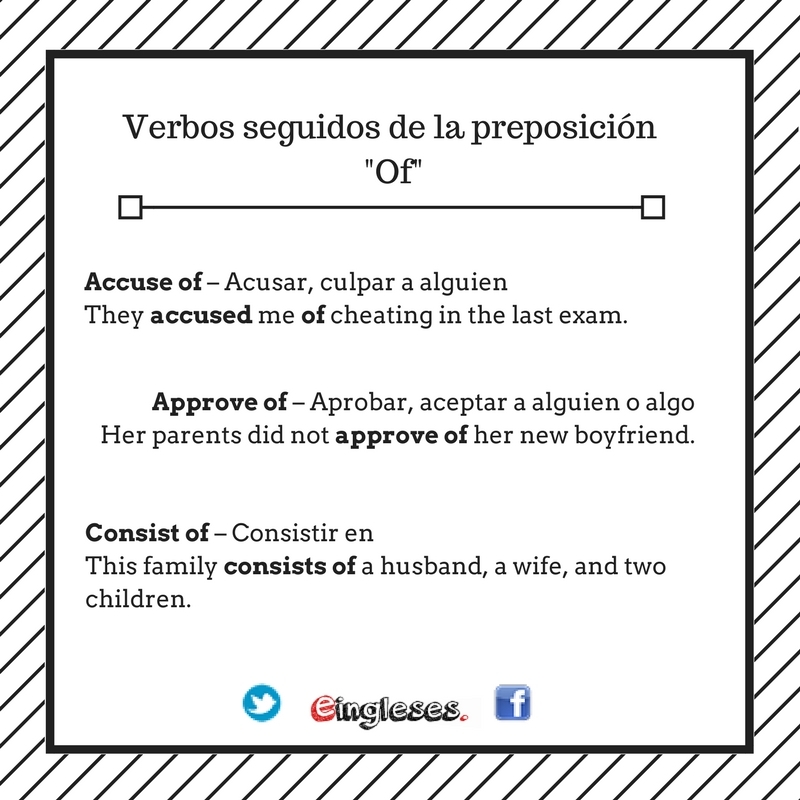 Accuse of – Acusar, culpar a alguien They accused me of cheating in the last exam. Approve of – Aprobar, aceptar a alguien o algo Her parents did not approve of her new boyfriend. Consist of – Consistir en This family consists of a husband, a wife, and two children.